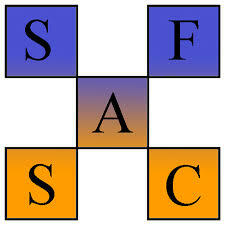 SAC is a link between the schools and the local community. It serves as a mechanism for participatory management through which the various shareholders in the school community may assist the school. Shared decision making among all constituents of the school community, both internal and external, can benefit the school and produce better student outcomes. The shareholders are parents, business people, other community interests, professional educators, and school staff. A School Advisory Council is a resource to the school and school principal. The term advisory is intended to mean assist, suggest, recommend, inform, and consult. The ethnic make-up of the group must reflect the ethnic make-up of the student population. If you are interested in becoming a voting member of the School Advisory Council, you must submit your name on the nomination form to the front office by August 31, 2018. A ballot will be presented and voted upon at our first meeting. SAC attendance is very important; therefore, members are expected to attend all meetings. All meetings will be held on a Wednesday and begin at 6:00 PM in the school’s Media Center. Anyone is welcome to attend the meetings; however, you have to be an elected member in order to vote on various issues. The school board of Broward County, Florida prohibits any policy or procedure which results in discrimination on the basis of age, color, disability, gender, national origin, marital status, race, religion, or sexual orientation.